Stay quiet family with friends, lovers. At the door of the Aravis, near the ski resorts of La Clusaz and Grand-Bornand 15 minutes from Lake Annecy discover LES CHALETS D'EMILE. The chalets Le Lachat, Le Colomban, Les Bédières are renovated in a mountain spirit, quiet, on a vast wooded grounds. 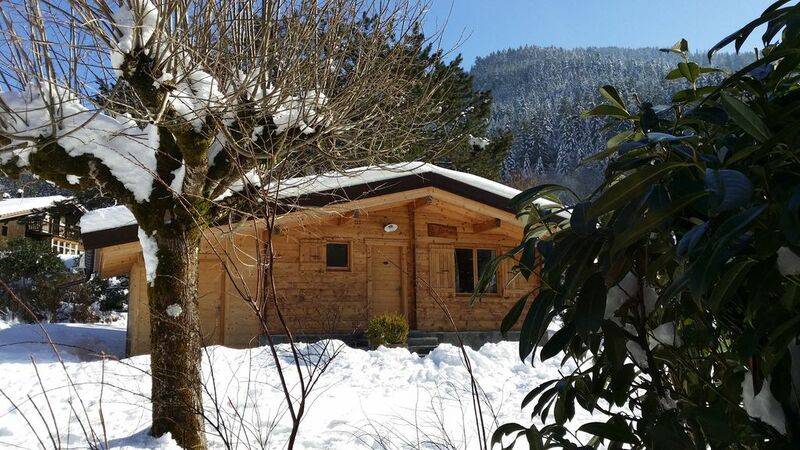 The situation of the chalet Le Lachat is ideal for the discovery of the region, the proximity of the various resorts allows you to admire wonderful landscapes both winter and summer. You can practice all sports (snowshoeing, mountain walks) tennis, via ferrata, horseback riding, adventure park, swimming pool in Thônes, golf in Talloires (15 km) water sports on Lake Annecy. Lachat (45 m²) is totally renovated. Sleeps 2 to 4 people. A bathroom with a shower, sink with basin, a toilet. Presence of an animal subject to the acceptance of the owner. Possibility of taking a cleaning option: 80 €. I remain at your disposal you can reach me at 06 70 02 11 75. Beautiful Cozy Chalet with everything you need. We throughly enjoyed our stay at this lovely cozy chalet for our recent ski trip . Véronique was very welcoming and helpful. The chalet was to a very high standard, very clean and had everything you could need. Would love to stay again. Highly recommended. Thank you Véronique!! un accueil chaleureux par des propriétaires charmants et très à l'écoute ; le chalet très confortable et remarquablement bien aménagé nous a séduits. Nous reviendrons certainement. Parfait quant à l'accueil.....quant à la qualité du bien proposé à la location et à son équipement......quant à sa propreté........enfin THONES de par sa position :Montagne mais aussi proximité du lac d'Annecy permet une multitude d'activités........Bref: Séjour réussi. Au calme, et situé à proximité du centre ville et des commerces. Nous avons passé un bon sejour, géographiquement bien situé, les stations de ski ne sont pas très loin. Nous avons beaucoup apprécié notre semaine de vacances. Le chalet est très chaleureux. Nous y reviendrons volontiers.